David again gathered all the chosen men of Israel, thirty thousand. David and all the people with him set out and went from Baalejudah, to bring up from there the ark of God, which is called by the name of the LORD of hosts who is enthroned on a new cart, and brought it out of the house of Abinadab, which was on the hill. Uzzah and Ahio, the sons of Abinadab, were driving the new cart with the ark of God; and Ahio went in front of the ark. David and all the house of Israel were dancing before the LORD with all their might, with songs and lyres and harps and tambourines and castanets and cymbals. So David went and brought up the ark of God from the house of Obededom to the city of David with rejoicing; and when those who bore the ark of the LORD had gone six paces, he sacrificed an ox and a fatling. David danced before the LORD with all his might; David was girded with a linen ephod. So David and all the house of Israel brought up the ark of the LORD with shouting, and with the sound of the trumpet. Amos, what do you see? O seer, go, flee away to the land of Judah, earn your bread there, and prophesy there; but never again prophesy at Bethel, for it is the king’s sanctuary, and it is a temple of the kingdom. 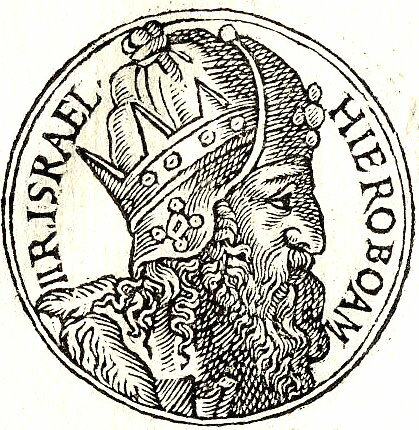 The prophet Amos had been condemning the policies of King Jeroboam II of Israel, whose regime controlled certain religious sites. There being no separation of religion and state in this context, the prophet faced a royal order to go home to Judah. At least Jeroboam did not command the execution of Amos. Herod Antipas, Tetrarch of Galilee and Perea from 4 B.C.E. to 39 C.E., had entered into an incestuous marriage to Herodias. John the Baptist had condemned this, and thus found himself in prison. 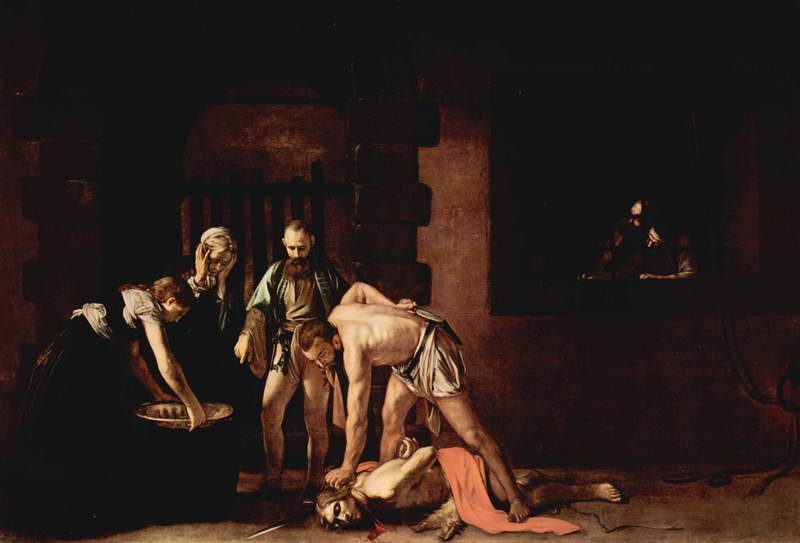 The combination of lust and pride led Herod Antipas to order John’s execution. We read in Ephesians about redemption through the blood of Jesus. The Roman authorities had ordered his execution, of course. The powerful seem to have won immediately. But look again; they lost in the long term. The last vestige of the Roman Empire ceased to exist in 1453 C.E. The Emperor Caligula exiled Herod Antipas to Gaul in 39 C.E. And Jeroboam II died more than 2,750 years ago. He failed to silence Amos, whose words are available in translation today. God will win. That is how the story will end. I know, for I have read the book. So I take courage and seek to play my part in the work of righteousness. O Lord GOD, pray forgive. How will Jacob survive? He is so small? The LORD relented concerning this. Oh, Lord GOD, refrain! How will Jacob survive? He is so small. I am going to apply a plumb line to My people Israel; I will pardon them no more. The shrines of Isaac shall be laid waste, and the sanctuaries of Israel reduced to ruins; and I will turn upon the House of Jeroboam with the sword. 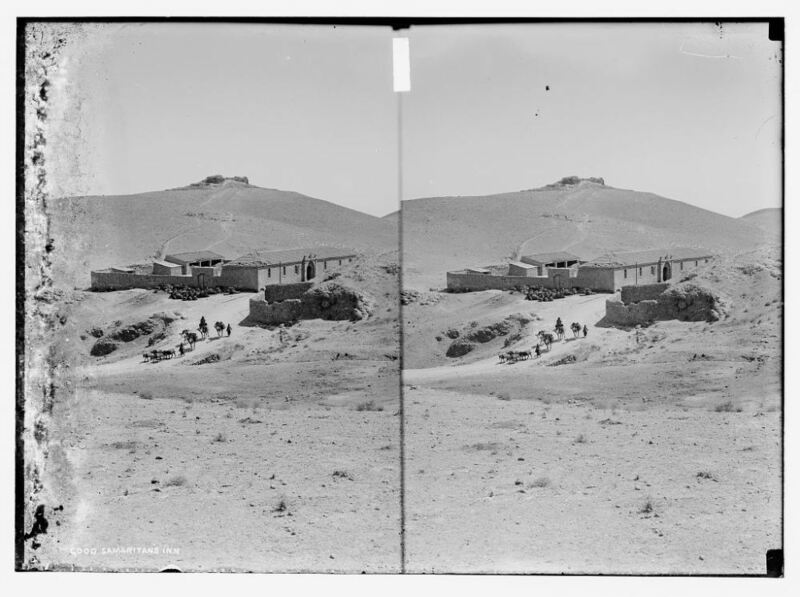 Seer, off with you to the land of Judah! Earn your living there, and do your prophesying there. But don’t ever prophesy again at Bethel; for it is a king’s sanctuary and a royal palace. I am not a prophet, and I am not a prophet’s disciple. I am a cattle breeder and a tender of sycamore figs. But the LORD took me away from following the flock, and the LORD said to me, “Go prophesy to My people Israel.” And so, hear the word of the LORD. You say I must not prophesy about the House of Israel or preach about the House of Isaac; but this, I swear, is the the LORD said: Your wife shall play the harlot in the town, your sons and daughters shall fall by the sword, and your land shall be divided up with a measuring line. And you yourself shall die on unclean soil; for Israel shall be exiled from its soil. So he [Jesus] got into the boat and crossed the sea, and returned to his own city. Courage, my son! Your sins are forgiven. This man is talking blasphemy! Why do you have such wicked thoughts in your hearts? For which is easier, to say, “Your sins are forgiven,” or to say, “Get up and walk”? But would you know that the Son of Man has authority to forgive sins on earth. Get up, pick up your bed, and go home! And he got up and went home. And when the crowd saw it, they were filled with awe, and praised God for giving such power to men. Sometimes the words and deeds of God offend or otherwise disturb us. How we deal with such cognitive dissonance speaks to our spiritual state. The Kingdom of Israel had run out of forgiveness. Amos, as we have read in previous posts in this series, announced God’s impending judgment for a variety of sins, economic exploitation among them. The religious establishment close to King Jeroboam II commanded Amos to leave the kingdom for his homeland, for his words did not affirm the ruling class. The paralyzed man, who does not speak in this narrative, probably believed in “sin leads to suffering” theology. It was what his culture told him. He probably lived with needless guilt, a burden members of his community (excluding some kind friends) imposed upon him. Jesus removed that burden from the paralytic, giving him spiritual wholeness. Some commentators have suggested that the man’s paralysis was psychosomatic. So, they say, of course the man could walk again after Jesus forgave his sins. This might be accurate. Whatever caused the physical paralysis, Jesus took that away from the man. Yet our Lord faced criticism for forgiving the man. Was this blasphemy? No, it was mercy. …the judgments of the LORD are righteous and true altogether. We might not like, agree with, or understand these judgments, but we can at least not oppose them. Or we can react defensively, trying to silence an annoying prophet or condemning a merciful man. But God will still be be God regardless of what we do.